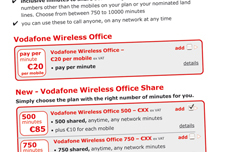 Project to redesign Vodafone Ireland’s online information about mobile phone price-plans to make it a tool capable of building individual plans and activating them online. 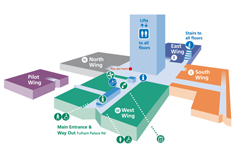 Design of a wayfinding system to help visitors to navigate round Charing Cross Hospital in central London. 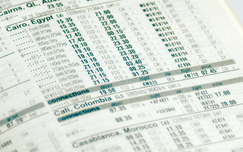 Project to redesign worldwide flight timetables to make them more intuitive to use, and more attractive to potential advertisers.